Mee Mee's Creations: Hoo's Having a Birthday! Morning my Crafty Friends!! Hope all is well with ya'll! I have the honor today to present the project at Cardz TV Gallery. I hope ya'll have been visiting every week day and checking out the projects that my DT Sisters have been showcasing. If you haven't, I'm tellin' ya that you have been missing some awesomeness for sure!!!! I seem to never have a birthday card ready when I need one, so I decided to make one. 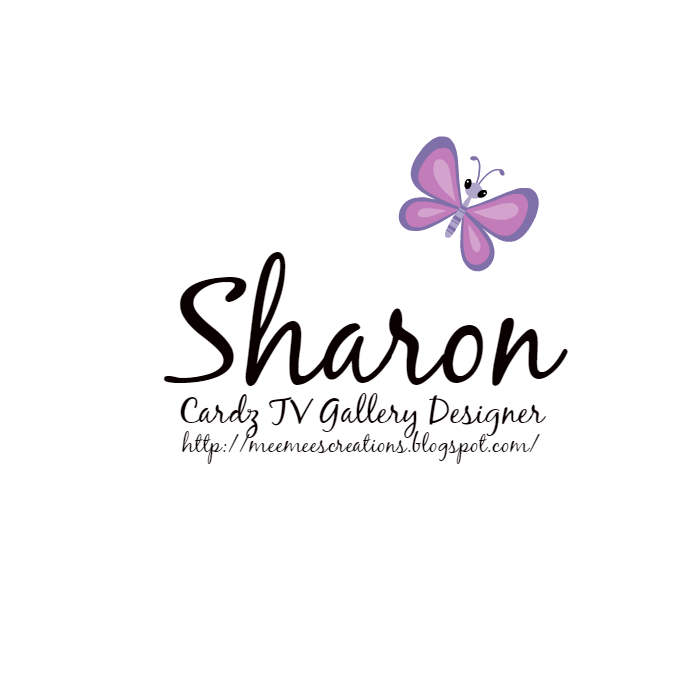 Kadoodle Bug Designs has some adorable Cutie KaToodles SVG cuts. 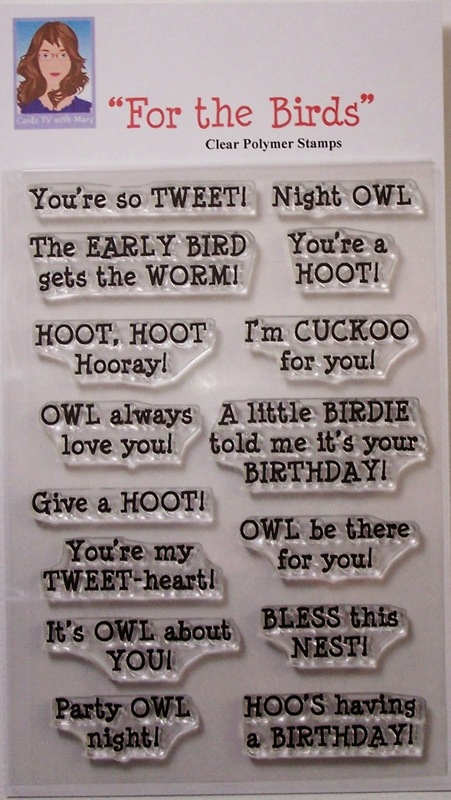 I just had to use the Barn Owl one. It is so darling!!! I cut it in purple and popped it up on a couple of ovals that I cut from the Plantin School Book Cartridge, which I also popped up. The pattern papers I used for the ovals came from a Recollections 6x6 pad called Simple Pastels. The sentiment is from the 'For the Bird's' stamp set. 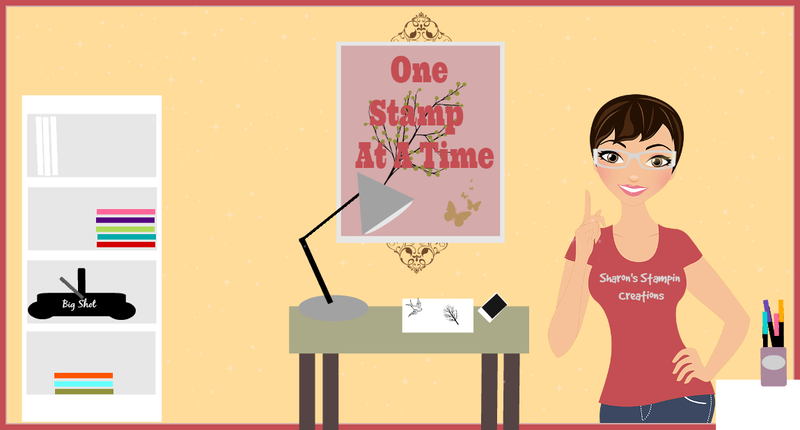 You can get a set of your own my visiting Mary's Stamp shop right here. I finished off my card with some Sequins in Lavender and Bubble Gum. Come back everyday this week and check out what my DT Sisters have in store for you. You'll be glad you did!!!! Hoot-Hoot! This is fantastic! How fun is this?! 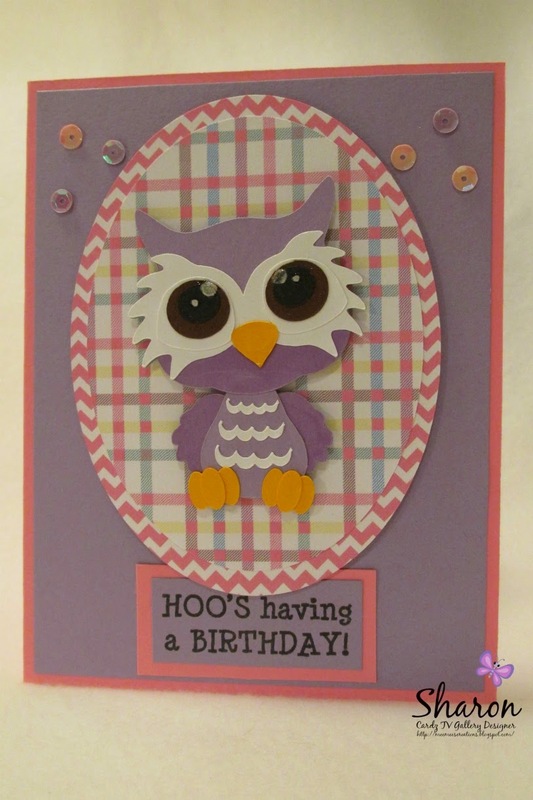 I love that adorable owl and fun pattern papers to frame it in:) You also used the perfect sentiment! So cute Sharon... Great owl and great job!